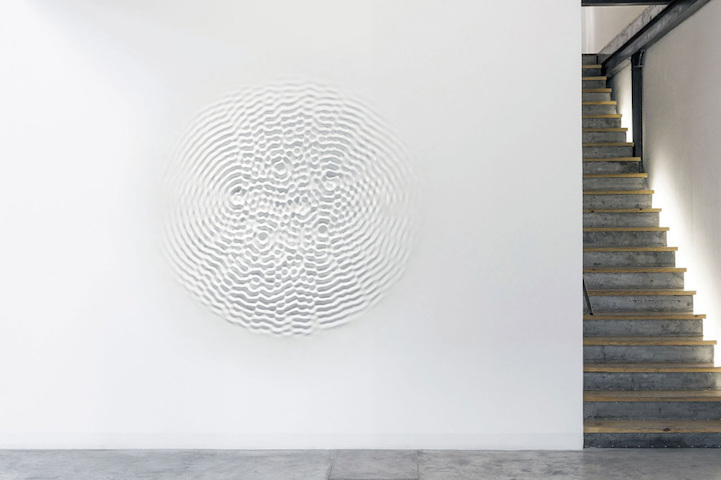 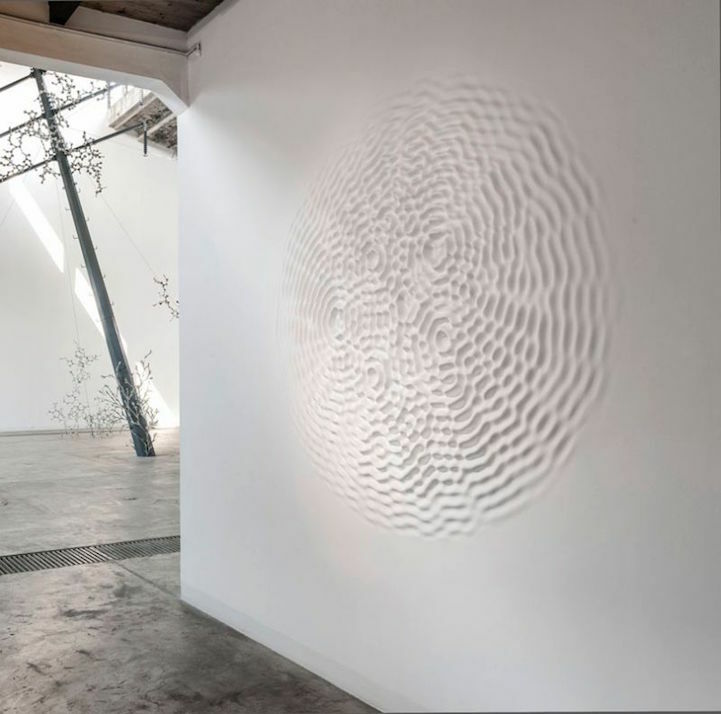 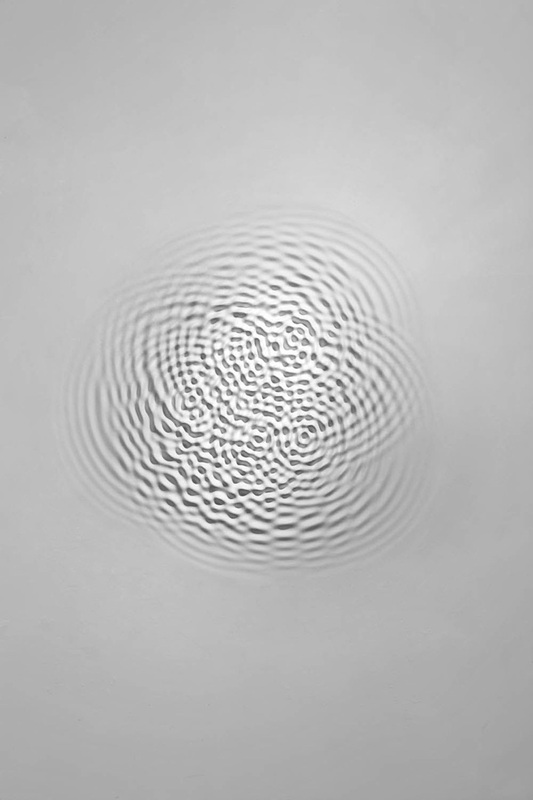 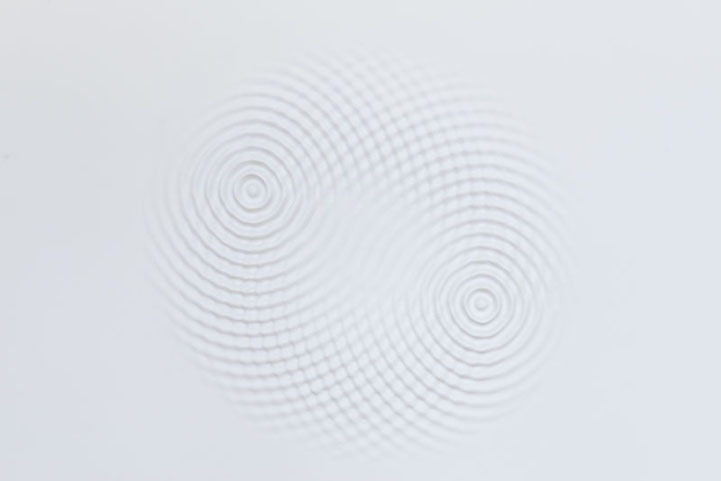 Wallwave Vibrations is an installation from Italian artist Loris Cecchini, which showcases the beauty of cymatics (the visual effects of sound on matter). 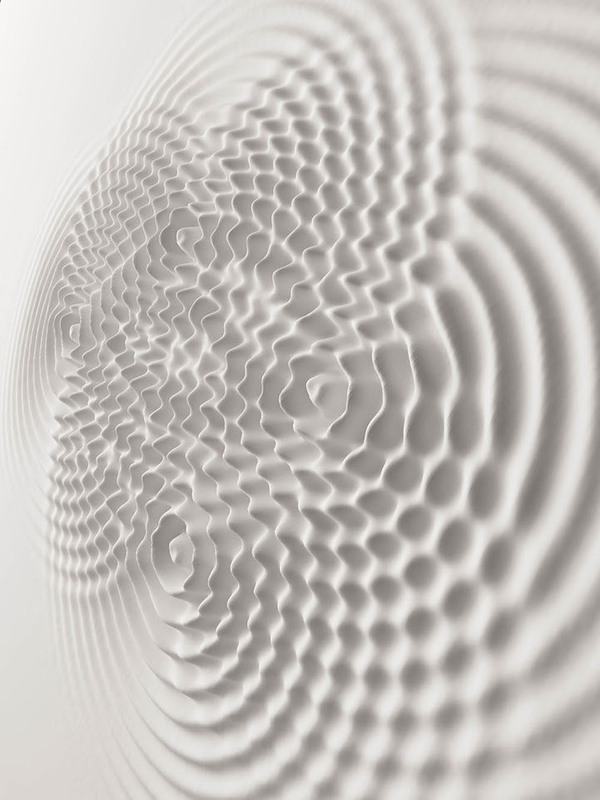 Cecchini works across a broad range of media, and also credits his unique artistic style to his indefatigable curiosity. 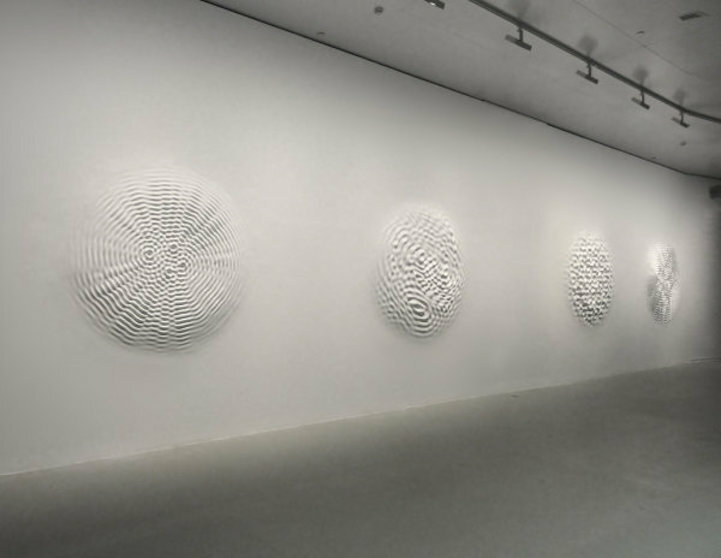 He often incorporates elements from interdisciplinary fields including chemistry and technology, and likes to playfully push the boundaries of art. 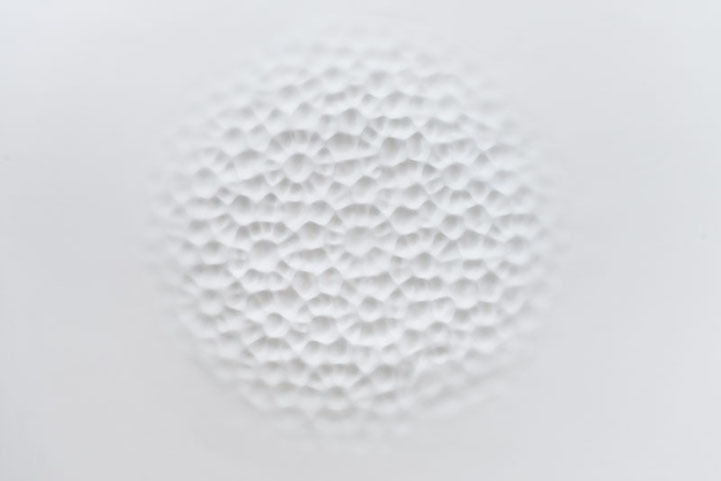 His creative process can almost be described as scientific, as he initially examines his modules with basic 3D or watercolor studies, and progressively moves toward exploring the particularities of certain natural elements. 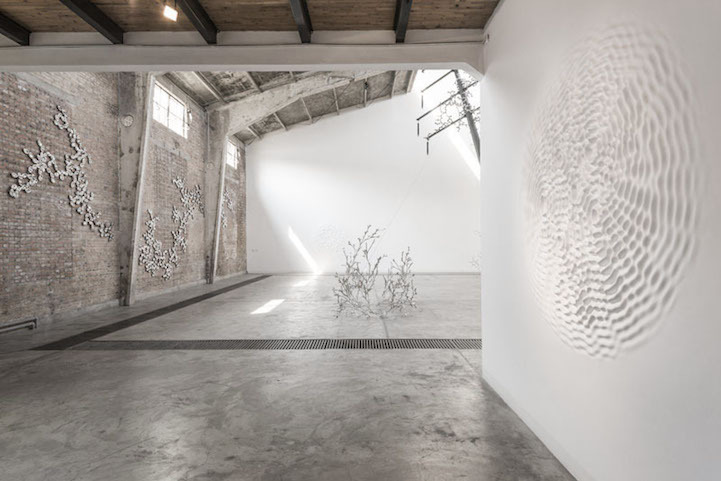 Cecchini’s portfolio and other subjects of artwork can be found on his website. 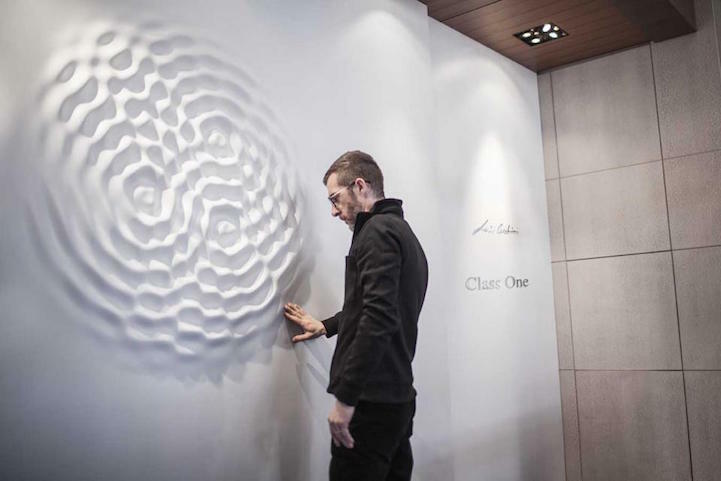 All images via Eloisa Reverie Vezzosi and Loris Cecchini.